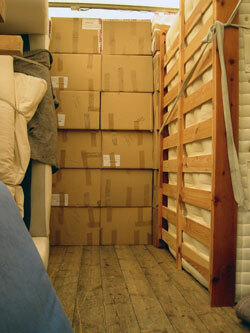 Bigvan can arrange and manage storage, in small or large capacity. Whether you need to store a cupboard or two, some office equipment or the furniture and contents of a whole house, we can offer storage to suit you. We can set up short or long-term solutions, as well as temporary storage to help with an office, business or home move. We recommend and help to arrange self storage solutions, or we can collect the goods and manage the space for you. Let the bigvan take care of it.